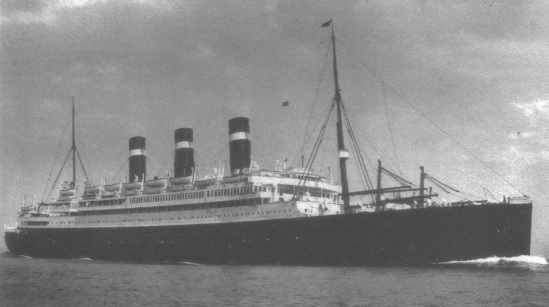 A vintage photo of the ocean liner Belgenland, on which Diamond sailed. Kiki Roberts mugging it up. In late August 1930, Diamond boarded the ocean liner Belgenland in New York for a voyage to Antwerp, Belgium. He told reporters that his final destination was Vichy in France, where he would take a "cure" of the mineral waters for his health. 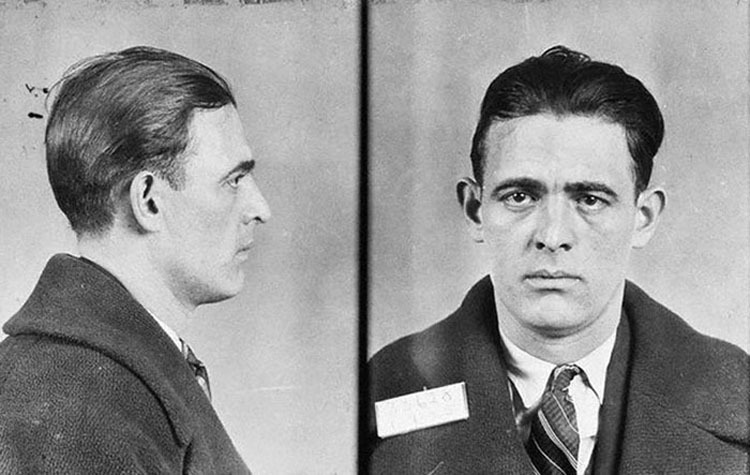 The real reason for the trip, however, was to establish sources of alcohol in Germany to transport into the U.S. to help reestablish his New York City operations. It didn’t go according to plan. As soon as he docked in Belgium, he was taken into custody by Antwerp police. After several hours of questioning, Diamond agreed to voluntarily leave the country and was put on a train to Germany. When Diamond's train reached the town of Aix-la-Chapelle (now Aachen), the German Secret Service arrested him and, on Sept. 6, placed him on the freighter Hanover for passage to Philadelphia. The Hanover arrived on Sept. 23, and he was immediately arrested by Philadelphia police. At a court hearing that same day, the judge said he would release Diamond only if he agreed to leave Philadelphia within the hour. Diamond agreed and he returned to New York. Diamond's mugshot from Philadelphia after he was returned from Germany. A newspaper account of the shooting. Back in New York City, he took a suite of rooms at the Hotel Monticello on Manhattan's west side and began trying to reestablish his rackets in the city. 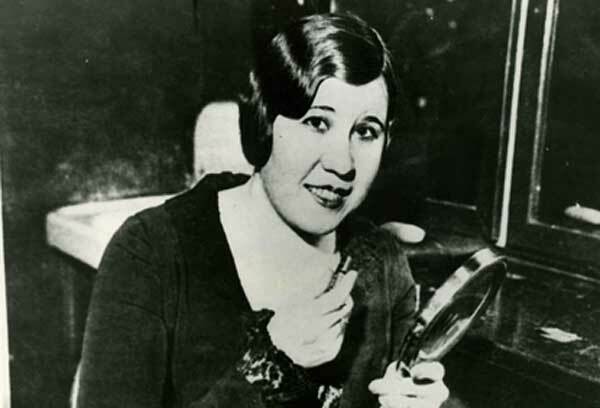 But there was still a target on his back, and on Oct. 12, 1930, at about 10 a.m., Diamond was shot and wounded by three men who forced their way into his room and shot him five times. Still in his pajamas, Diamond staggered out into the hallway where he collapsed. When police arrived, they asked him how he managed to walk out of the room with five bullets in him. Diamond allegedly said he drank two shots of whiskey to steady himself before going for help. 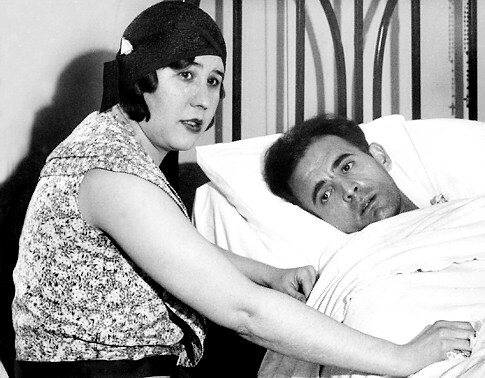 Diamond's wife Alice is pictured at his hospital bedside, top, and in a glamour pose, above. Above is a British newspaper featuring a story about the shooting. 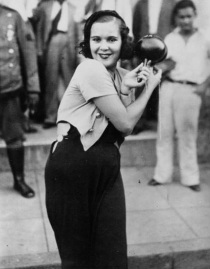 Marion "Kiki" Roberts is the girl in the right photo. Al Capone, who was accused of ordering the hit on Diamond (he didn't) is seen in the insert. Diamond is in the left photo. The photo caption notes Diamond had been shot several days earlier.